In order to produce more effective English speakers, another feature added to SJA is the inception of new English Language Lab, where in , through a combination of state-of – art technology and instructor led training, students are enabled to take sizeable strides into the realm of speaking polished English. 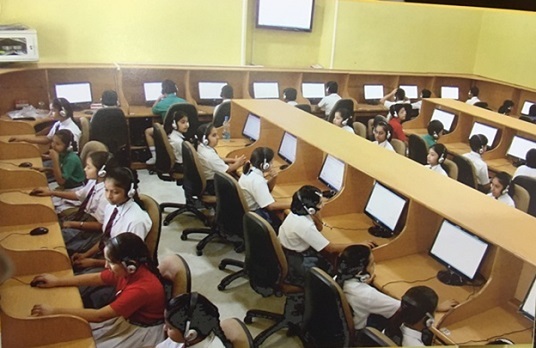 St Joseph’s Academy, Dehradun established the English Language Lab in 2011 in the Heritage Block.The lab comprises of a master console and facility for 50 students with controlled desktops, headsets and microphones. Students from all sections from class 3rd to 9th avail the facilities. The aim of establishing the English Language Lab is to ensure that the students communicate effectively, have a strong vocabulary and good diction.